You are reading an article from the Smart cities series, to read more about this you can visit the series homepage. The root of the problem - rising population numbers coupled with escalating vehicle ownership – is simple and obvious. But traditional solutions have not solved this predicament. They are simple stop-gaps for an issue that should have been avoided in the first place and not dealt with as the issue meets crisis mode. Building more freeways, adding extra lanes, planning new bypasses and creating extra parking spaces are just quick fixes that kick the can down the road for a few more years. Austin in Texas is an example of a city with growing pains. The great weather, cultural attractions and lifestyle choices, have made it one of the United States' fastest growing cities. Comparatively low property prices are attracting people in droves from states such as California, where homes and taxes are much higher. But with a growing population, city traffic has become a serious issue. Current figures show a net population gain of 110 new residents per day, who bring about 70 extra cars with them. There are efforts to expand and improve the road network, but it is obvious that this will entail a huge burden of cost, and is unlikely to keep pace with the expanding vehicle numbers. Chandra Bhat from Austin's Center for Transportation Research recently said, "Essentially, the growth is happening so fast that it's impossible to build our way out of traffic congestion." So Austin, rather than concentrating exclusively on meeting the existing and future demand, is now much more focussed on finding ways to ease the pressure on the existing road system. They call this "travel demand management", or TDM. Carpooling is encouraged, and users of the “Carma” carpooling app are offered a partial or total refund of highway tolls, depending on how many people are in the car - the more occupants per vehicle, the bigger the refund. With as many as 76% of regular car journeys involving a single occupant, an adoption of a well organised car-pooling system could half the number of vehicles on the road almost immediately. Businesses are actively encouraged to offer telecommuting opportunities for employees, even if only for a day per week. Flexible working hours are encouraged, so employees can travel by bus, or if they must drive, can do so during less congested periods. One of the big challenges facing any traffic management planner is to overcome people's resistance to change. There is an extensive and growing network of buses, and every bus is fitted with a cycle rack at the front, so a combination bus and cycle ride is always an option. 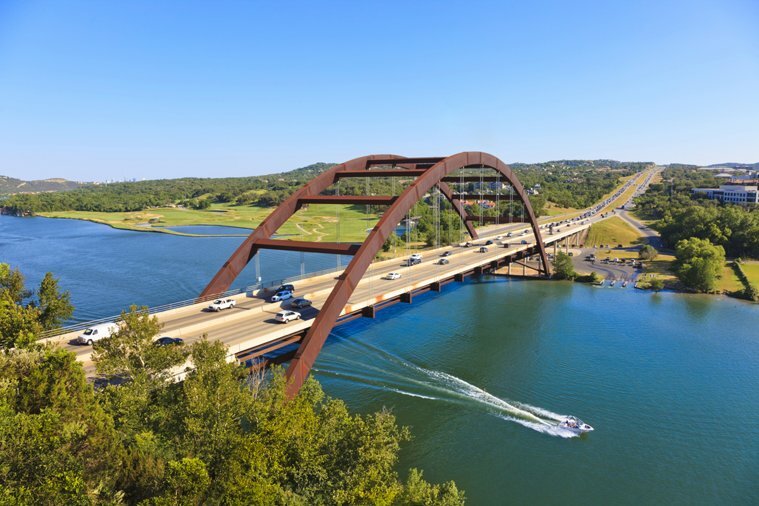 Coupled with a huge and growing network of cycle tracks and dedicated bicycle lanes on many of the roads, this make Austin one of the most cycle-friendly cities in North America. But if more people don't adopt the alternatives available, the future doesn't look too good. Predictions from the Texas Transportation Institute, based on current traffic growth rates are dire, with all city routes completely swamped by 2035, and the evening rush hour lasting beyond 10pm. Applying a bandage is not going to alleviate the problem, so avoiding the issue in the first place is seen as the way forward. Austin and TDM are trying to put much of the responsibility for the issues and the solution to the problem where they believe it should be - squarely in the hands of the travelling public and downtown businesses. They are not asking that individuals change their habits completely. But one day of telecommuting, a trip to work by bus or bicycle, a shared car journey, or a work day scheduled to a different set of working hours can make a significant difference. Each individual decision not to drive and to find some sort of alternative is one small step towards a manageable traffic system. They are not asking that individuals change their habits completely. But one day of telecommuting, a trip to work by bus or bicycle, a shared car journey, or a work day scheduled to a different set of working hours can make a significant difference. Each individual decision not to drive and to find some sort of alternative is one small step towards a manageable traffic system. One of the big challenges facing any traffic management planner is to overcome people's resistance to change. We tend to stick to routines with which we are familiar, despite how unpleasant they can become. But ultimately the problem is a collective one, and rather than look to the council or some other government body to fix it for us, we have to make an individual decision to be a part of the solution. 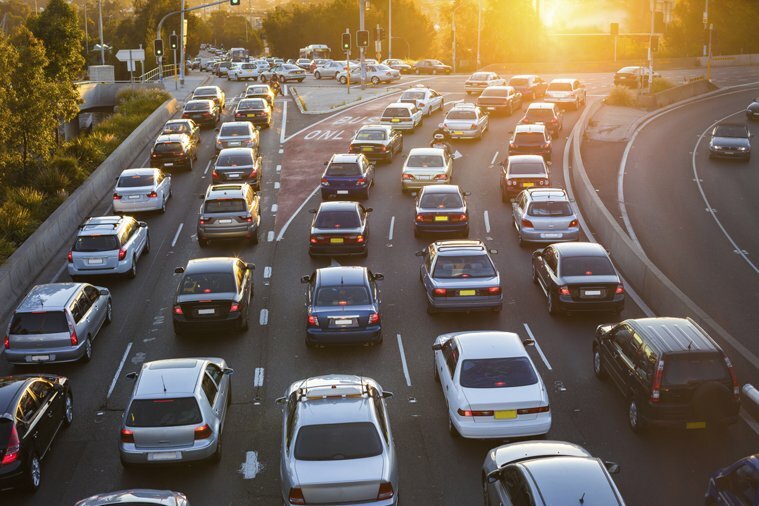 What simple choices can you make to be a part of easing traffic congestion where you live?